Used Alfa Romeo Mito Review - 2008-present | What Car? 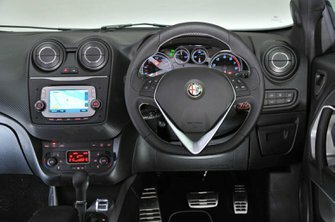 What's the used Alfa Romeo Mito hatchback like? What’s in a name? A lot, if that name’s Alfa Romeo. For car enthusiasts, the Italian firm is the repository of some of the most stylish and most desirable motor cars of all time. It is a name full of teasing promise, as inviting as a luxurious villa in the Tuscan countryside and as refreshingly alive as the views to the sea from the heights of Ravello, high above the Amalfi Drive. However, while some of its offerings over the past few years have nearly lived up to the promise of that evocative badge, it’s fair to say that most of them have been more like a wet weekend in Hull. 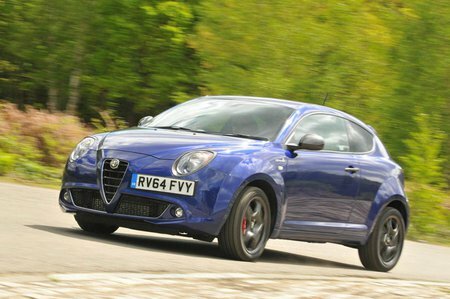 For a myriad of reasons, the Mito is one of them. It starts well enough, with a body that takes its inspiration from some of the glorious Alfas of the past and then links it into a modern and fairly distinctive three-door hatchback shape. From some angles it’s almost cute and, if its job was to make it stand out in the small car class, it has at least succeeded in that. Under the bonnet, the Fiat Group’s turbocharged 1.4-litre Multiair engines form the mainstay of the line-up, and are available in 138bhp and 168bhp states of tune. In both states it’s suitably flexible and refined, which is more than can be said of the 0.9-litre twin-cylinder turbocharged engine, the TwinAir, which has plenty of character but sounds thrashy and requires constant gearchanges to get the best from it. Buyers could also choose from either a weedy 1.4 naturally aspirated petrol engine or a 1.3-litre diesel, an adequate performer but one that is by no means smooth or particularly exciting. On the road it’s all a little disappointing, with uninspiring performance from most of the engines, vague steering and an unsettled ride that for most of the time is downright uncomfortable. Its refinement is noticeably below par, too, with plenty of engine, wind and road noise to disturb your misery. Things aren’t much better in the interior, where the driving position’s a bit compromised, the build quality feels disturbingly slack and space in the front and back is fairly limited, even by the standards of the small car class. Its reputation for less-than-stellar reliability is somewhat off-putting too – but, nevertheless, if you wanted to own a car that carries one of the most passionate and desirable of all motoring badges, then a used Mito could be seen by some as a cheap and easy way to help you achieve that aim.